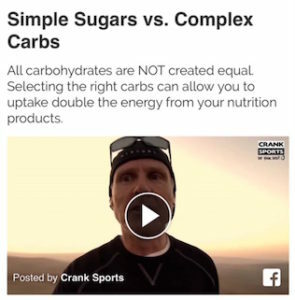 e-Fuel has twice the complex carbs of Cytomax, while Cytomax is 55% simple sugars. This makes a big difference … watch this video to see why. According to WebMD: Stevia (found in Cytomax) and chemicals contained in stevia, including stevioside and rebaudioside A, can cause bloating or nausea. Other people have reported feelings of dizziness, muscle pain, and numbness. Using ingredients that cause stomach distress is the last thing that an athlete would want to deal with, so none of these ingredients are found in e-Fuel or e-Gel.